Australia's leading supermarket chain Coles Supermarkets Australia Pty Ltd, trading as Coles hiring freshers and experienced staff. It includes latest jobs in Australia for Students and graduates. 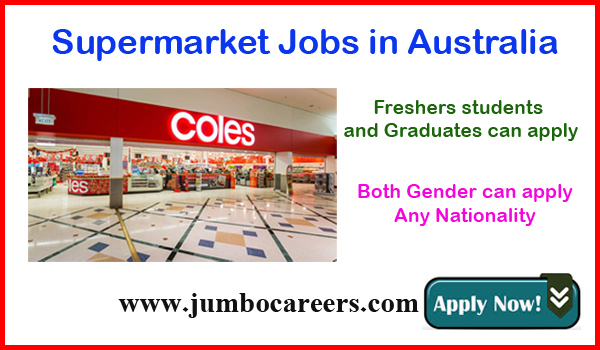 Coles Supermarket Australia Careers and jobs.